The pile of uninstalled parts dwindles. The counter is installed which makes a ton of other stuff able to be installed. 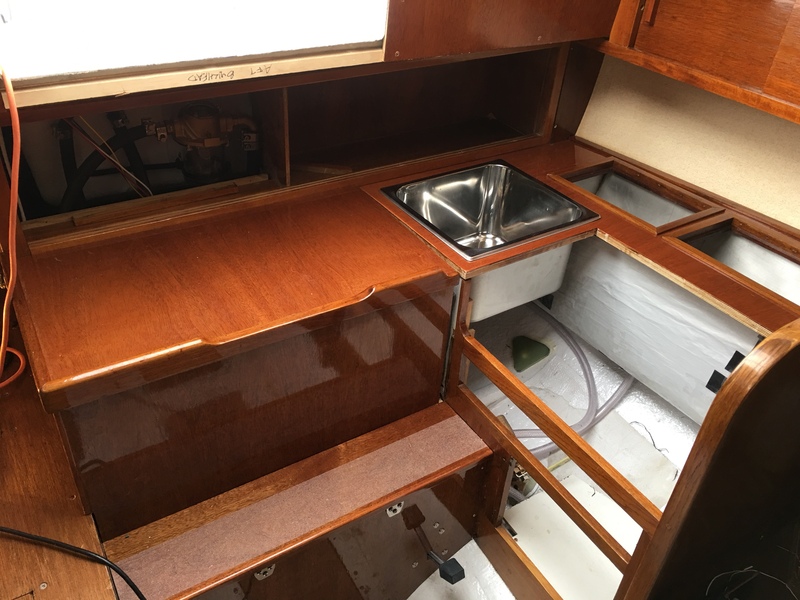 The cabinet above the engine and the engine cover as well as the sink. I need to get some handles on the doors for that cabinet before I can screw it down but it’s coming together. That green piece of G10 is to cover the inside of the old through-hull hole. I still have to fill the outside but I’ve taken to epoxying ‘caps’ on the inside so I know where to stop grinding and to cover it so I can vacuum bag the repair. 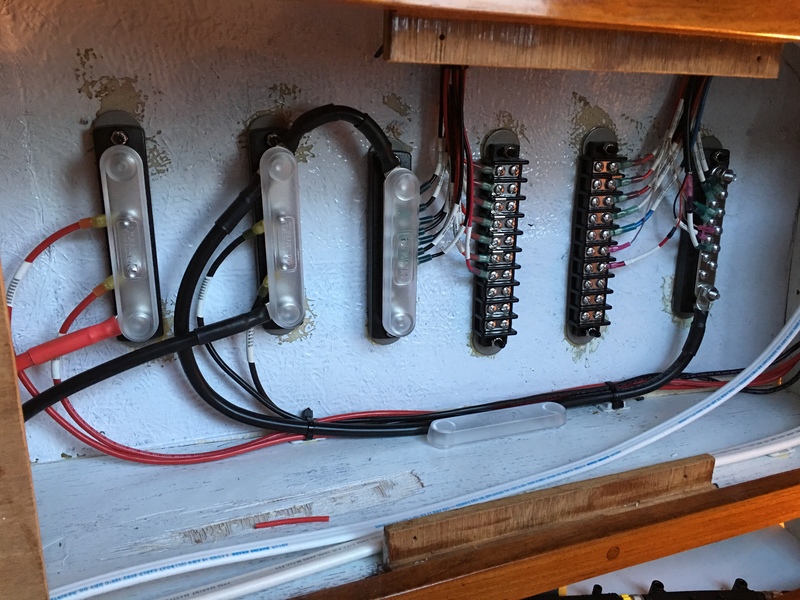 On my previous post I had installed the negative bus bars and linked them to the main bus bar with 10 awg wire. After consideration I didn’t like that so I redid them with 4 awg to avoid issues with current capacity. Technically the 10 would work but if I had an overcurrent condition with multiple breakers the fuse at the other end of those big feeders wouldn’t have blown before the 10 awg wire would have been in flames. Now if there’s an overcurrent condition the breakers should catch it, and if not, the big fuse at the other end will. Previous PostPrevious More wiring progress. Next PostNext Original electrical panel vs new and improved.